It’s a rare thing that you could just publish the movie studio’s blurb about a film and let it represent the largess of the project. 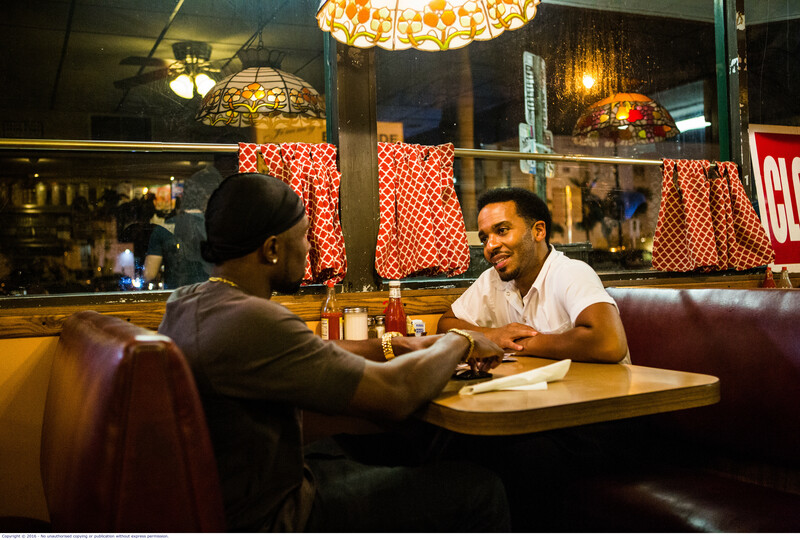 Moonlight offers so much more than a night out at the flicks. 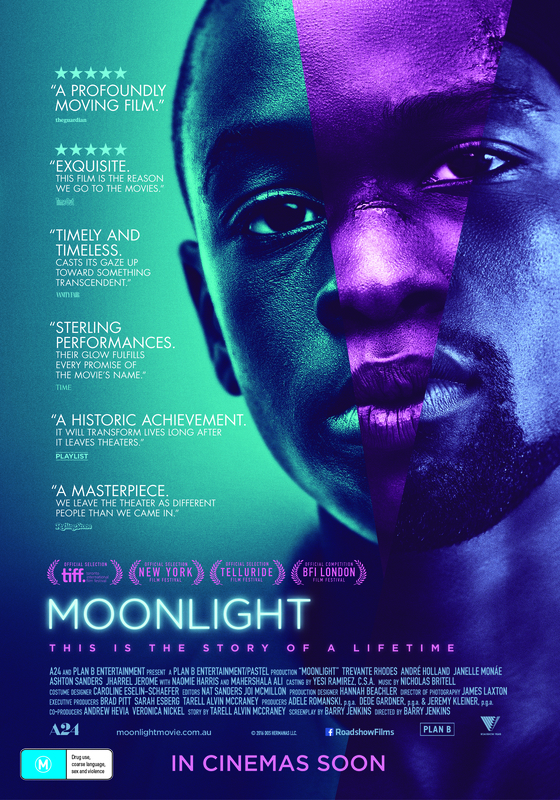 This extraordinary piece of art transcends race and sexuality to be a masterpiece that reflects humanity through top shelf storytelling and performances in what is a subtle and moving portrait of a young man, born into urban chaos of Miami, navigating his way through life without signposts, to an ultimately rewarding outcome. Split into three chapters, each representing a portion of a young black man’s life, the film kicks off with Part i. titled “Little”. While this is essentially a tale about love, manhood and mateship, the two female leads deliver outstanding performances as they represent polar opposite pillars in this young man’s life. Chiron has a mate at school called Kevin and the two are close in the way that boys at that age can be. They rumble, they hang out, and they are genuine compadres. Kevin is one of the few people around whom Chiron can be himself and there is a glimpse of something more between them that is yet to develop. 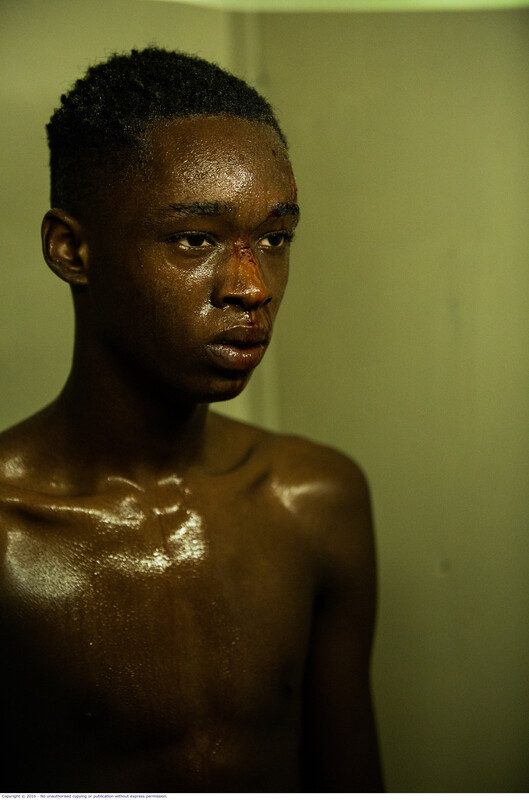 Part ii is called Chiron and we see the young man (now played by Ashton Sanders) progress to high school age where he is still tormented, now by a thug named Terrel (Patrick Decile) who taunts Chiron about his mother who has become a crack addict (previously buying her drugs from one of Juan’s dealers). Chiron is still mates with Kevin (now played by Jharrel Jerome) who has developed into something of a ladies man, and he boasts about being suspended for being caught committing inappropriate sexual conduct in a stairwell at school. 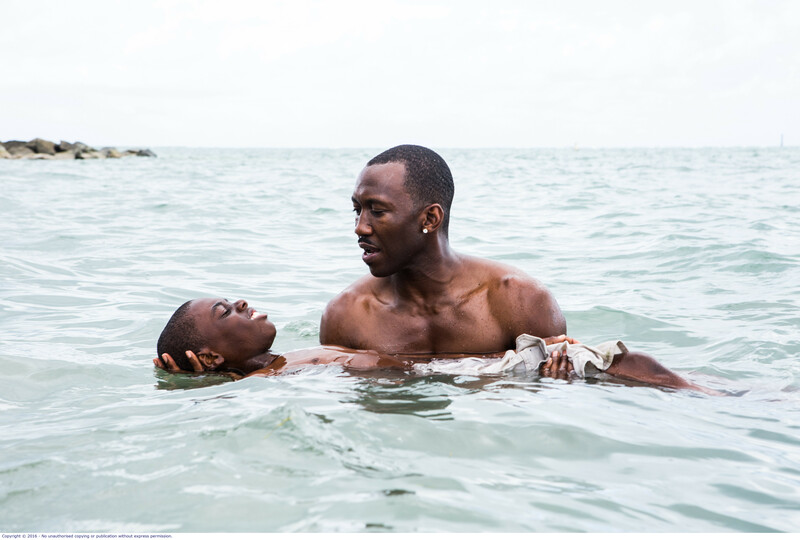 Chiron and Kevin share an intimate moment in the moonlight at a local beach and the tone of the film shifts into noticeably more adult territory. Chiron and Kevin have an altercation at the behest of Terrel and there are serious repercussions for all involved. Part iii is called “Black”. Now Chiron has become “Black” – a muscle man version of his younger self. While still introverted he casts a mean shadow as he cruises around in his old-school car (which may well be the car that once belonged to Juan). 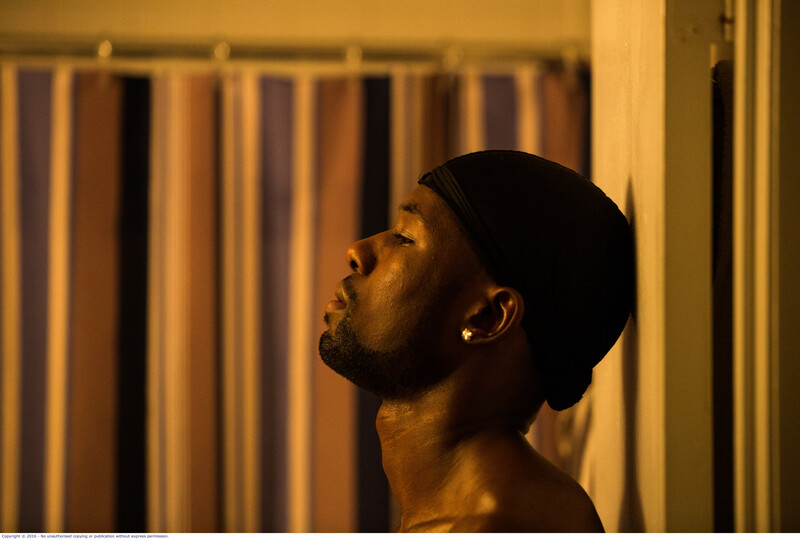 Chiron (now played by Trevante Rhodes) gets phone calls from his mother who is in a rehab facility, but it is a call out of the blue from Kevin (now played by André Holland) that sets the final act in motion and I don’t know if I’ve ever been more on the edge of my seat as I was to witness the outcome of their meeting in Kevin’s diner. This is a film that, had I not become a film reviewer, I doubt I would consider seeing. I grew up in Australia in the 70s and 80s, a climate of racism and homophobia and a film about young black gay men is not something I would seek out. However Moonlight is about so much more than the genre it fits into and I am so grateful I got to see this truly beautiful piece of art. 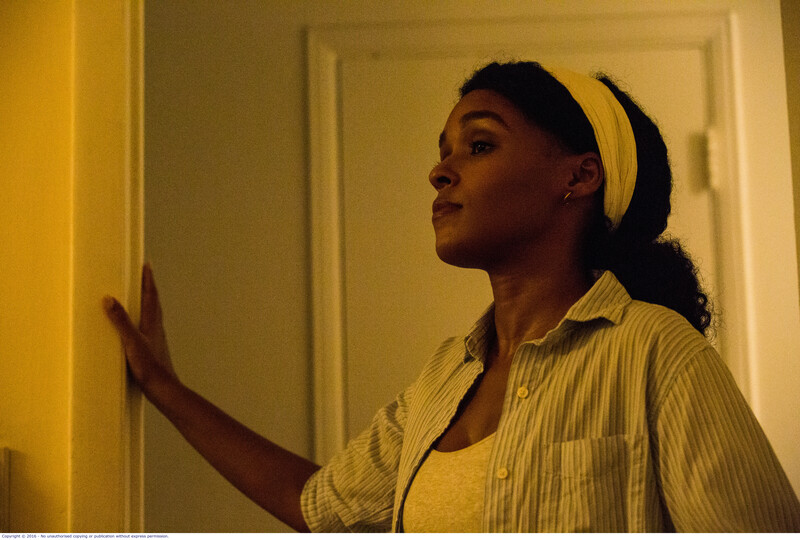 With 6 Golden Globe Nominations, Moonlight should shine this coming Awards Season. 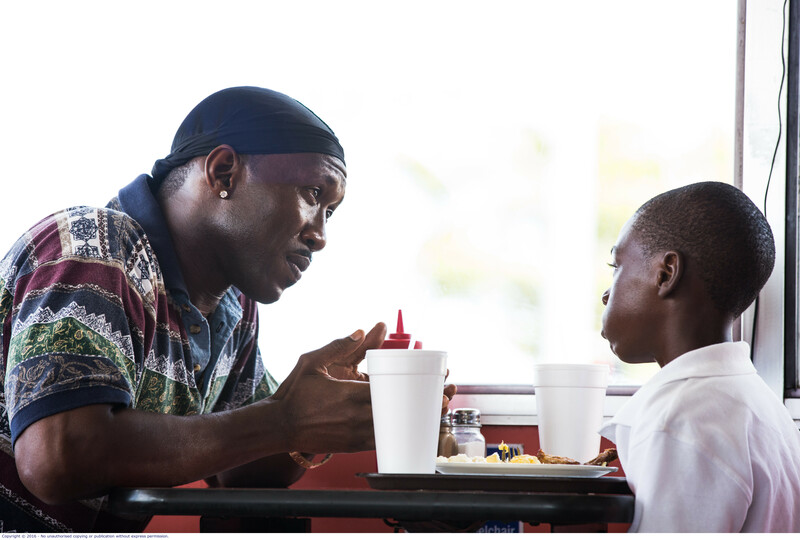 Moonlight releases in Australian cinemas January 26th, 2017.